"Barbie Girl" was a hit single for Aqua in 1997. Mattel, the company that introduced the Barbie doll in 1959 tried to put a stop to it because they objected to the content of the lyrics but lost their subsequent lawsuit. Don't worry, the lyrics aren't included on this version. All instruments and production by Lee Rosevere. Special thanks to Ian Clayton. "I chose 'Barbie Girl', originally by Aqua, because people hate this song now - most people perceived Aqua unfairly as one-hit wonders. They wrote great pop music, and I wanted to showcase that their melodies do stand up under alternate interpretations. 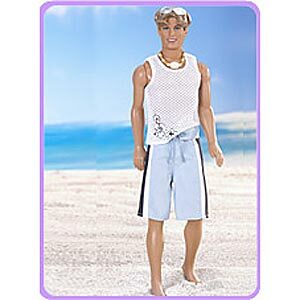 Imagine Ken & Barbie walking hand in hand on the shore, instead of Frankie & Annette in a beach movie."